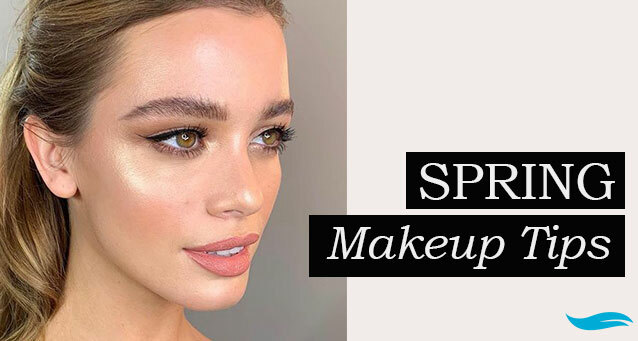 Spring Makeup Tips | Jiva Spa Toronto | 390 Bloor St. W.
Spring has sprung, which means it’s time to transition from your go-to winter makeup to something a little sunnier. Here are 8 key makeup tips to accentuate your sun-kissed springtime skin. From lips to eyes, we’ve got the scoop on the most popular trends this season. To start off the spring with your brows on point, check out the top Toronto eyebrow microblading spa treatment, Jiva Spa Toronto. In the meantime, we’ll tell you all about the hottest looks for spring 2019. When the seasons are a-changing, you know it’s time to open up the lipstick drawer. Switching out your go-to lip colour is a great way to liven up your look for the springtime. This spring, we’re keeping a close eye on coral hues — they look great with every skin tone and are sure to make your makeup pop. When it’s spring and your skin is glowing, there’s no need to shy away from colourful eyeshadow looks. Pastels are everywhere right now, and not just in the pharmacy’s Easter section. Baby pink is the most on-trend colour — try coating your lids in a light wash of pink this season. Although the black winged liner and lashes are a classic combination, it’s the perfect opportunity to try something a little bolder. Colourful mascara is a fun and subtle way to liven up your eyes, while rainbow eyeliner will really make your spring look stand out. Recently, we’ve been loving cobalt blue eyes — the colour is super flattering and sure to make your eyes pop. 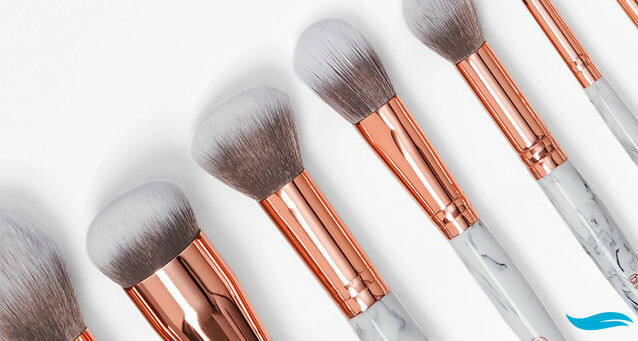 Rose gold has become one of the all-time trendiest colours over the past year, and 2019 is no different. The metallic pink flecks in a rose gold highlighter or blush will take your spring look to the next level. Although April is known for its rainy days, you can bet there will be more sunshine as we move further into spring. This means your makeup will need a bit more help staying put. Incorporating a primer into your routine will make sure your look won’t crease or smudge throughout the day. Gone are the wintery days of dry, dehydrated skin. To accentuate your naturally glowing skin, try using highlighter on the high points of your face. Layered overtop of your primer, this extra step in your makeup routine will ensure your glow lasts throughout the day. The biggest trend this season (and the best thing you can do for your skin) is to minimize your face makeup and let your skin breathe. You don’t need thick layers of concealer, foundation, bronzer, and powder — it’s more prone to smudging in the springtime sun. Instead, try using a skin tint or a light foundation with SPF. Your skin will thank you by looking fresh and flawless. Full, brushed brows are super on-trend this spring, and the best way to get the look (and make it last) is a microblading treatment. Although you’re probably seen it all over Instagram, microblading is a semi-permanent eyebrow treatment that gives you the beautiful brows you’ve always wanted. 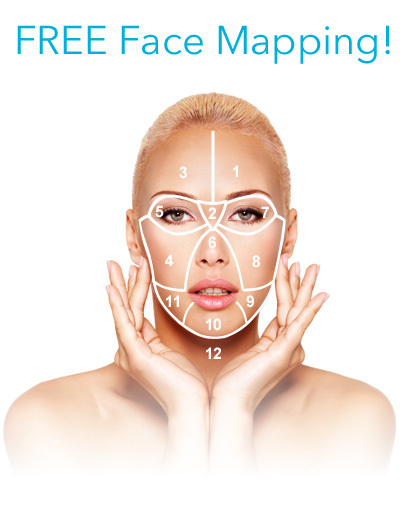 Jiva Spa is your go-to spot for perfectly shaped brows, which everyone knows are the foundation of a great makeup look. Our microblading technicians will work with you to determine the best eyebrow shape for your face. Contact us at Jiva Spa today for more information.